Liverpool John Lennon Airport is one of North West England’s most valuable economic assets. 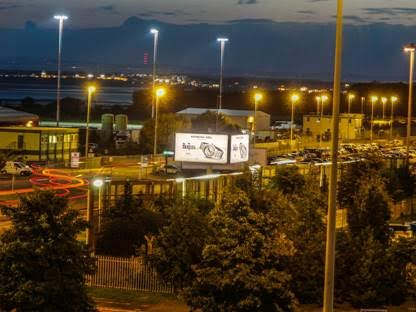 Delivering significant tourism and business benefits, the airport is one of Merseyside’s major employers and attracts significant inward investment. With over 4.8 million passengers travelling through the airport each year, and airline routes expanding to connect flights to to North America, Liverpool John Lennon Airport provides an opportunity for our clients to access a large and diverse audience. The Airport has ambitious plans to serve more destinations including long haul, with passenger forecasts indicating the potential to grow passenger numbers to 7.8 million by 2030, and to 11 million by 2050. Proposals have been put forward for expansion of the terminal building, additional car parking, passenger facilities including hotels, retail, food and drink services and a potential extension of the runway. Challenge To increase awareness and to attract new customers to Albert Dock. We were looking to attract both locals who use Liverpool John Lennon Airport as well as incoming visitors from Liverpool John Lennon Airport’s most popular European destinations including Spain, Italy, France and Germany. Solution Baggage Reclaim Light box targeting all arriving passengers in a location with excellent dwell time. 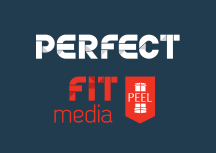 Result Having advertised at Liverpool John Lennon Airport for the last few months we feel that we have a perfect audience. 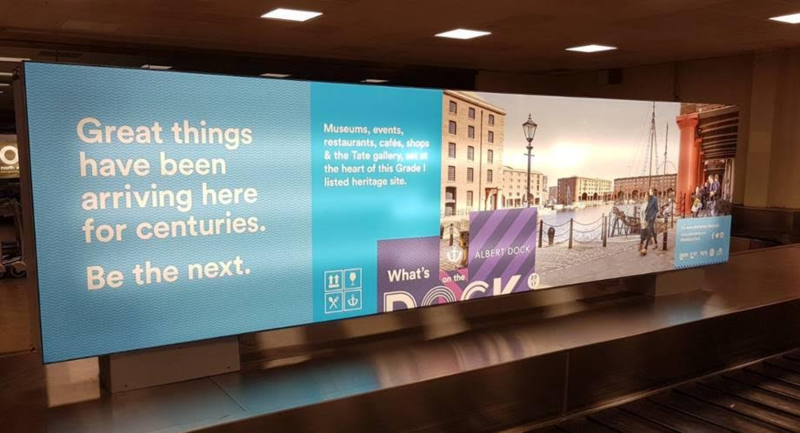 People arriving from all over the world can see that Liverpool Albert Dock is a popular visitor attraction with fantastic museums and restaurants, promoting a visit to our venue. Challenge To promote the Raymond Weil brand and their special edition Beatles watch during Beatles week. Liverpool John Lennon Airport is the ideal location due to its association with the famous band as well as providing a high profile audience with over 30% of passengers falling into the top 2 profile groups. In addition to the 5 million annual footfall figure. 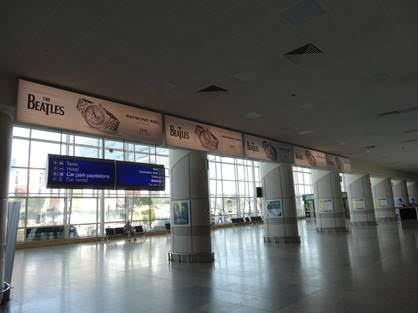 Solution Ownership of the 4 sided backlit 48 sheet structure targeting visitors entering and exiting the airport, 5 x arrivals light boxes targeting 100% of arriving passengers and light boxes at the baggage reclaim areas offering a high dwell time. 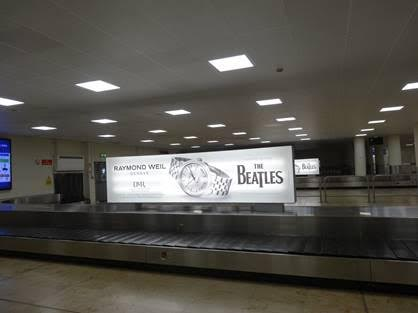 Result Meeting visitors from all around the world during Beatles Week, they mentioned that they had seen the billboards at Lennon Airport and commented on what a lovely looking watch for Raymond Weil's first collaboration. The billboards were the only form of advertising in Liverpool and a number of timepieces were sold during that week. For Raymond Weil, it is an immense honour to be the official timepiece partner of the biggest band in the world and to have huge visibility for all the worldwide fans arriving at the Beatles home town of Liverpool.